Medical care throughout the First World War was largely the responsibility of the Royal Army Medical Corps (RAMC). The RAMC’s job was both to maintain the health and fighting strength of the forces in the field and ensure that in the event of sickness or wounding they were treated and evacuated as quickly as possible. Every battalion had a medical officer, assisted by at least 16 stretcher-bearers. The medical officer was tasked with establishing a Regimental Aid Post near the front line. From here, the wounded were evacuated and cared for by men of a Field Ambulance in an Advanced Dressing Station. The hospitals set up immediately behind the lines were often housed in tents during the First World War, including wards and operating theatres. This was particularly true of Casualty Clearing Stations, with base hospitals further away from the fighting sometimes making use of existing or more permanent buildings. A casualty then travelled by motor or horse ambulance to a Casualty Clearing Station. These were basic hospitals and were the closest point to the front where female nurses were allowed to serve. 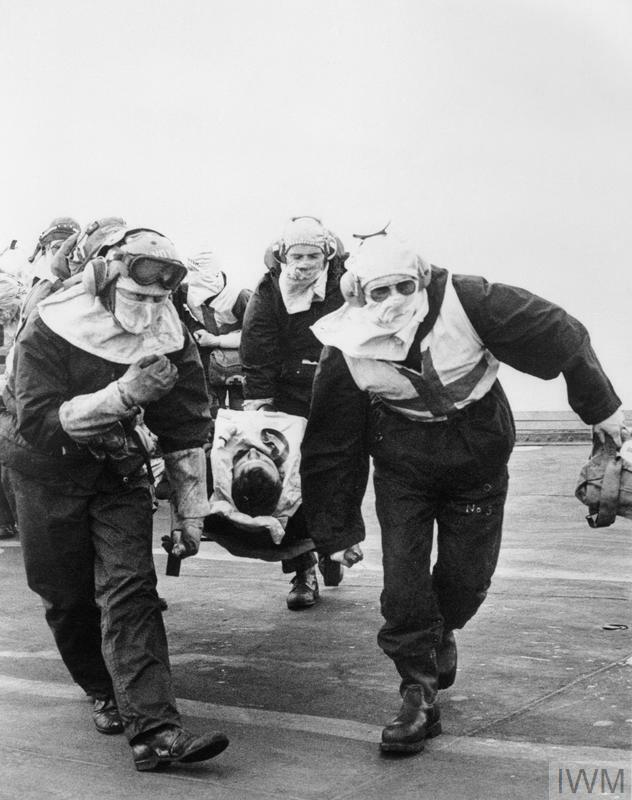 Patients were usually transferred to a stationary or general hospital at a base for further treatment. A network of ambulance trains and hospital barges provided transport between these facilities, while hospital ships carried casualties evacuated back home to ‘Blighty’. As well as battle injuries inflicted by shells and bullets, the First World War saw the first use of poison gas. It also saw the first recognition of psychological trauma, initially known as 'shell shock'. In terms of physical injury, the heavily manured soil of the Western Front encouraged the growth of tetanus and gas gangrene, causing medical complications. Disease also flourished in unhygienic conditions, and the influenza epidemic of 1918 claimed many lives. Episode 29: During the First World War, the mass mobilisation of civilian armies coupled with fighting on an industrial scale led to unprecedented numbers of wounded. Hear about the range of weapons used and the wide variety of ways that men were wounded. The experience of a battle casualty in the Second World War was not radically different to that of the First World War. The most common injuries were caused by shells and bullets, and a casualty was evacuated through a similarly-organised chain of medical posts, dressing stations and hospitals.